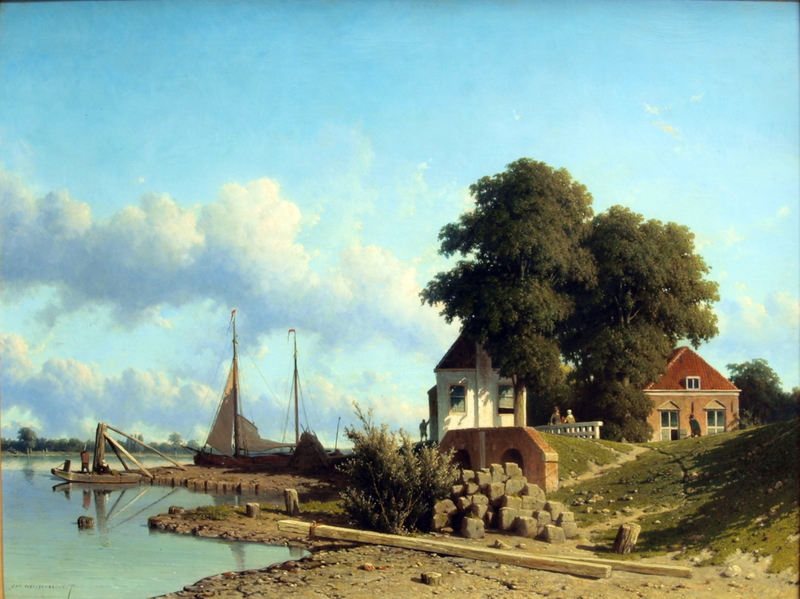 Jan Weissenbruch – Haags Historisch Museum 1978-0031-SCH . Title: De Prinsegracht. Date: c. 1845-1878. Materials: oil on canvas. Dimensions: 83.5 x 52 cm. Nr. : 1978-0031-SCH. Source: https://www.haagshistorischmuseum.nl/thumbs/930x1300r/2015-01/1978_0031_sch.jpg. I have changed the light and contrast of the original photo. 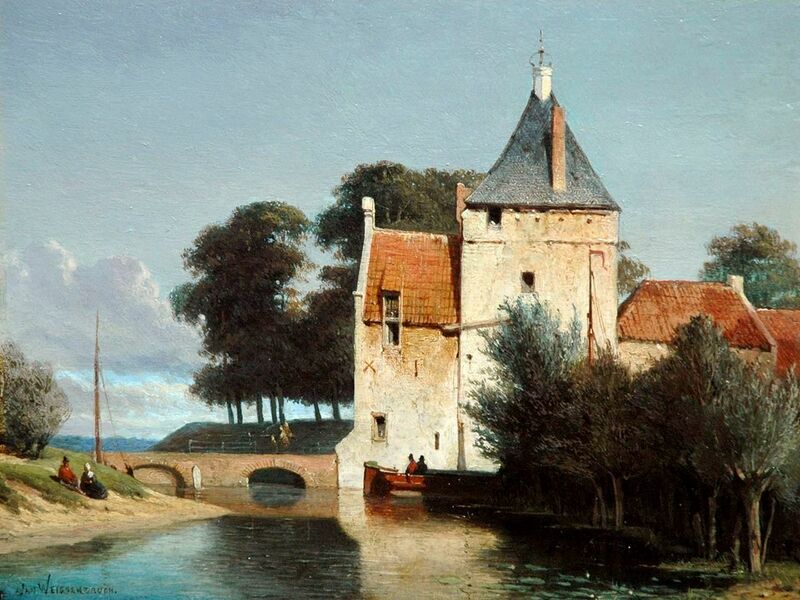 Jan Weissenbruch – private collection. Title: Gezicht op de Zandpoort te Culemborg, bij zomer. Date: c. 1850s-1860s. Materials: oil on panel. Dimensions: 24.3 x 31.5 cm. Source: http://www.simonis-buunk.nl/images/art/medium/13409.jpg. I have changed the light and contrast of the original photo. 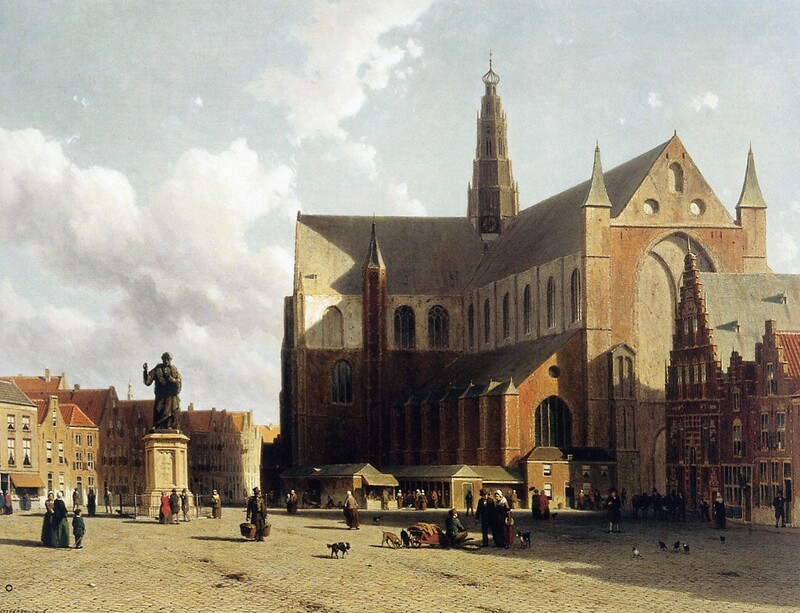 Jan Weissenbruch – The Hermitage Museum ГЭ-3824. 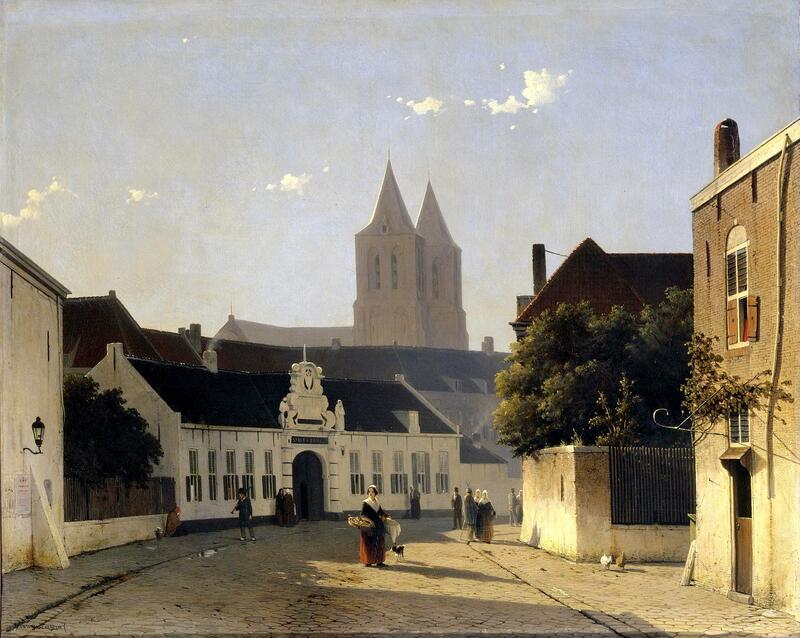 Title: View of Arnhem. Date: c. 1840-1880. Materials: oil on canvas. Dimensions: 76 x 96 cm. Nr. : ГЭ-3824. Source: https://www.hermitagemuseum.org/wps/portal/hermitage/digital-collection/01.+paintings/30024. I have changed the light and contrast of the original photo. 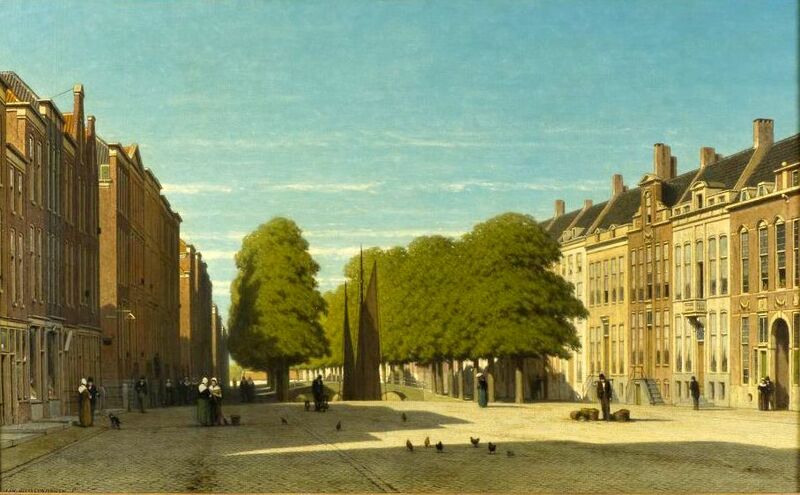 between 1856 and 1870 (http://www.christies.com/lotfinder/LotDetailsPrintable.aspx?intObjectID=1324064). Jan Weissenbruch – Rijksmuseum SK-A-1160. 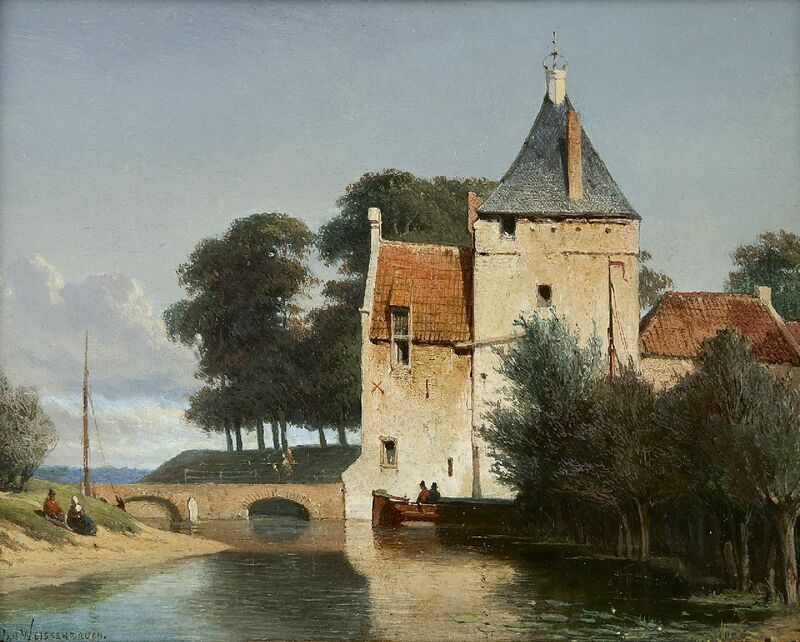 Een stadspoort te Leerdam (?, 1840-1870).